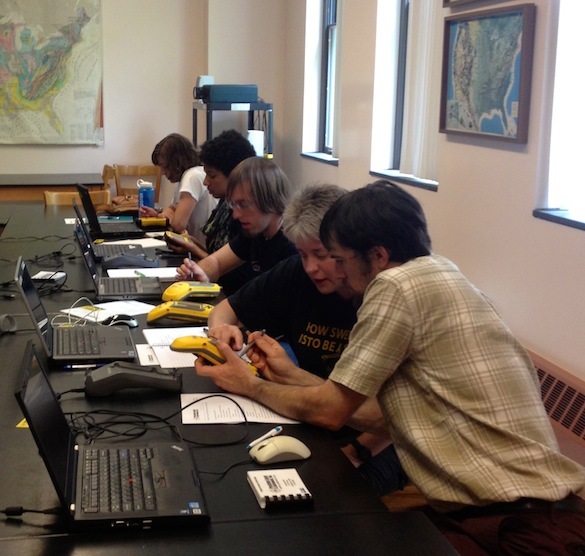 WOOSTER, OH – In preparation for the summer field season, some Wooster Geologists are being trained on new GPS equipment. 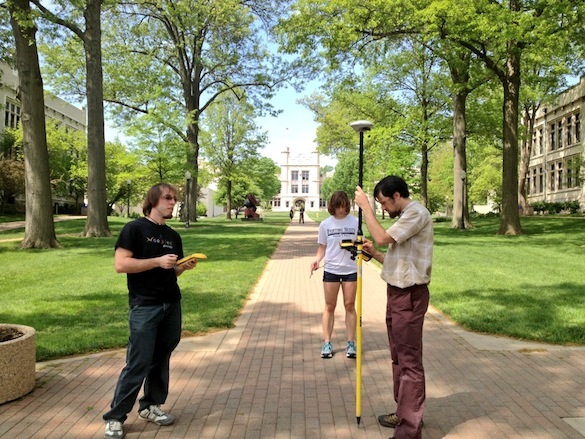 Wooster Geologists learn to set up the GPS prior to taking it to the field. We learned the importance of thoughtfully crafting a data dictionary prior to heading to the field. Features and attributes were entered into a database that helps us organize our data as we collect it. For Team Utah, we’ll be collecting features like fractures, joints, tumuli, and samples. Then we went to the quad to learn how to collect different types of features. It was a gorgeous day to be training in the field. We learned to collect points, lines, and areas. We also learned about data accuracy and how to ensure that our data are high quality. 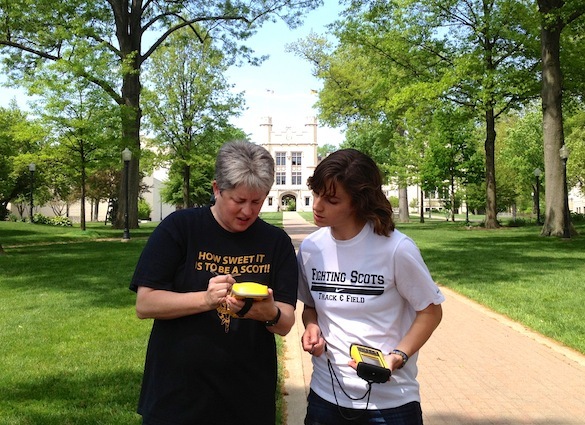 Tricia Hall (’14) and Dr. Shelley Judge work together to map a sidewalk. After two days of training, we’re ready to collect GPS data on the cm-scale. This summer, we’ll be able to produce high-resolution maps of our field area and test hypotheses about lava emplacement.